… for not being with you in person. He is very busy looking after Dylan and Dougall who have grown a lot and have now taken up the game of chasing each other round the cage and through the tunnels then popcorning round to change direction and carrying on the other way. 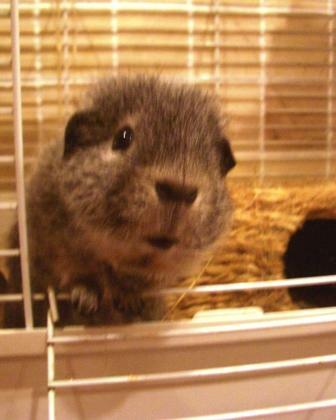 He has heard that Auntie PigPog had a bereavement on New Year’s Day and we would all like to send her our love. And we hope she likes his starring role in the fourth book when it gets published. Willow was an extraordinary pig. Saku, young Will, and I send deepest sympathies to PigPog.